Why Choose Warehousing Distribution Services from Top1Freight? Top 1 Freight is a leading outsourcing provider in the warehousing and distribution industry with unmatched national network and management system dedicated to reduce costs effectively. We provide a wide selection of unparalleled warehouse distribution services personalized to deliver the expected results to all our clients. From start to finish, all of our clients will experience the dedication, professionalism and stability of an expert warehouse storage and distribution serving company. We offer a full range of secure warehouse storage and warehousing distribution services to all seaports and airports in China, including packing, palletizing, labeling, nationwide collection or delivery, long and short term storage etc. The warehousing procedure is under 24/7 security monitoring to safeguard the client’s rights without any single glimpse of fault. We have access to all the modern tools and accessories to get your job right. 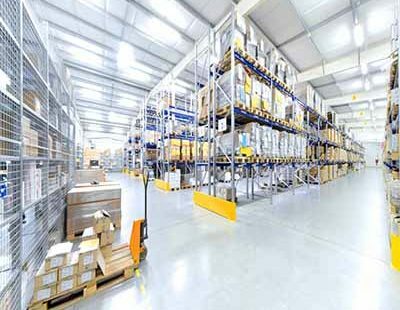 Starting from well maintained grounds, advance racking system and properly lit interiors to exceptionally clear premises and freshly painted floors; our storage warehouses are some of the best in this industry. We provide the highest level of service and security for your cargo. Coupled with our exceptional standard transportation services, Top 1 Freight is well equipped to handle all of your cargo shipment and storage needs with its decade long professionals experience in warehousing and distribution. If you have special requirements with warehousing distribution services in China, call Top 1 Freight without any second thoughts. Our warehouse storage and distribution is highly organized and accessible to any business niche with cost effective service prices. Our advance 21st century inventory system helps you get exact track of your inventories in our warehouse storage. All of Top 1 Freight’s warehouse facilities are highly secure, sprinklered and alarmed to protect clients’ assets until they are ready to deploy them. Let our warehouse team store, pack and crate your product for its final destination.